Proximity sensors are the most common and affordable solution for no-touch object detection. The most commonly-used proximity sensor is the inductive type, which generates an electromagnetic field to sense metal objects passing close to its face. This is usually the easiest sensing technology to apply in applications where the metal object to be detected is within an inch or two of the sensor face. 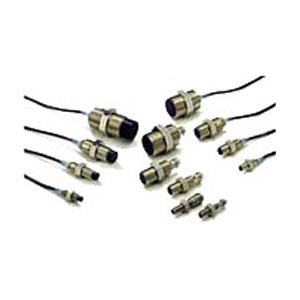 We offers 12 products of 6 different types of proximity sensors, inductive and capacitive.